Knysna Accommodation, find a B&B,self catering, hotel, luxury apartment or tree house using the search filter. Download the Free official GR&KK region and tourism app and find the perfect Knysna accommodation you need. In the heart of South Africa’s world renowned Garden Route, you will find the beautiful town of Knysna. Overlooking the town, the estuary, the islands and The Heads which call out to the sea, is a wonderful double-story house that has been converted into modern, self-catering accommodation. The beauty of this massive house with it’s several kitchens and bathrooms, is that it can be partitioned according to your holiday needs. A single person could rent one of the 5 sections. Or a large group could rent the whole building (sleeps up to 15 people). Very exclusive self catering apartment, sleeps 4, situated in walking distance from Waterfront and Town. Very well equipped with new, modern furniture, appliances, TV, fresh linen and friendly service. Free Wifi and cable TV. Communal outdoor seating, garden and barbecue. In the heart of the Garden Route lies the picturesque town called Knysna. Nestled between the Outeniqua Mountains and the Indian Ocean, Knysna is filled with history, magic and adventure. Situated only 5 minutes away from town center and 4km from the Leisure Isle beach you’ll find Abalone Lodges. Not only does Abalone Lodges offer convenient location but also breathtaking views of the Estuary and Knysna Heads. These unique wooden units are all self-catering with kitchenette, en-suite bathroom with spa-bath, Television with selected DSTV channels as well as a balcony for those lovely sunsets! Aestas Bed and Breakfast offers 3*** B&B accommodation, situated in the town center of Knysna – within walking distance to shops, restaurants, Waterfront and Lagoon. We offer a warm welcome, hospitality and beautiful views.well-equipped Garden Flat. At Armadillo Studios, pleasing is our pleasure. Here you’ll find a unique, sophisticated environment. Our mission is to provide a happy, harmonious base from which our visitors can explore and appreciate the legendary scenery of Knysna and the surrounding area. Offering a self-catering accommodation, the Armadillo is a haven of peace and tranquility set in one of the most creative and lovingly maintained private gardens in Knysna. Imaginative modern decor with African touches and excellent outdoor facilities ensure that guests can feel truly at home – a place to look forward to returning to after an enjoyable day’s touring, golf or adventure in the Garden Route. Your Pearl in the Oyster of the Garden Route. In the tranquil suburb of Paradise, Azure House reflects elements of Cape Cod and the Caribbean, with breathtaking views across the lagoon to the Famous Knysna Heads. The guest house is managed by the owner’s daughter Sydne. You will experience warm and friendly hospitality throughout your stay. She will also assist you to plan your activities and excursions in the area, and make your spa, golf and dinner reservations. Accommodation is provided in 6 spacious, stylishly decorated, self-contained suites, all having magnificent views overlooking the lagoon, with private patios equipped with barbecues, where breakfast is served in the morning, whilst watching the yachts sailing by. Badger’s Lodge is situated close to the Lagoon and about 3 km out of Knysna’s enchanting town center and the picturesque waterfront. We offer comfortable accommodation in African style Rondavels (thatched huts), set in a large tranquil garden. We provide a family-friendly and personal service and pride ourselves in our range of accommodation options. Beacon House has four beautifully appointed 3 bedroom self catering apartments. All apartments are fully equipped and serviced. All units have an en-suite master bedroom. Basking in the beguiling tranquility of Knysna’s lagoon lies Belvidere Manor, one of South Africa’s most romantic, and most relaxed getaways on the Garden Route. This historic property offers colonial-style cottages set in colourful park-like gardens, each offering a wide veranda, an airy living room with comfortable sofas, fireplace, TV, DVD player and WiFi, kitchen and one, two or three en-suite double bedrooms. Delicious meals are served on the terrace of Belvidere House, by the pool and in Caroline’s bistro where country-style dishes are served each evening. Meet the locals at The Bell Tavern, voted a Garden Route “Culinary Legend”, which is also open daily for light meals. Relax into a gentle rhythm – unwind and indulge! This elegant home offers warm hospitality and breathtaking views of the Knysna lagoon and the Heads. Six tastefully decorated en-suite rooms, each with own balcony, are spacious and well equipped – five have lovely lagoon views while the garden room is surrounded by trees and shrubs. Relax at the secluded saltwater pool or wander through the lush garden where you might spot the elusive Knysna Loerie. Browse through books on the Garden Route in the guest lounge or enjoy sweeping views and sundowners on the main patio. Experience the unique ambience of a timber home. We offer comfortable, cozy home-away-from-home accommodation in a quiet suburb, Hunters Home, situated halfway between Knysna town and The Heads. Peace and quiet only minutes away from the bustling heart of Knysna. Magnificent views from all living areas across a forested valley towards the lagoon and the Heads. Safe parking within the property. 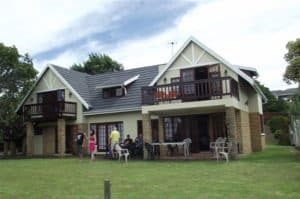 Double Dutch has a beautiful luxurious colonial bed and breakfast, guesthouse accommodation in Knysna with magnificent panoramic views over the Knysna lagoon and the Knysna Heads into the Indian Ocean. Our establishment is within close walking distance to Knysna’s town center where you will find several good restaurants and various shopping malls. Double Dutch welcomes children of 12 years and older. Double Dutch is Dutch, German and English Speaking. Elalini Backpackers, also referred to as “The Village” is situated at Goukamma Station, close to Goukamma Nature Reserve and Buffalo Bay (surfer’s paradise). It is hidden (but can be found!) just off the N2 between Sedgefield and Knysna. It offers its visitors a farmer’s style village setting in the heart of nature. Accommodation is kept rustic and simple, but cosy, to enhance the traveller’s experience of a rural, peaceful elalini (place of rest). However, the vibe is lively and energetic, with fires burning at night and chattering and laughter extending into the beautiful days under African skies. A Comfortable “Home away from Home” Luxuriously decorated and well equipped to enable guests to savour the ultimate pleasure that Knysna has to offer….. Enjoy comfortable, luxury accommodation in Knysna at Falcons View Manor. 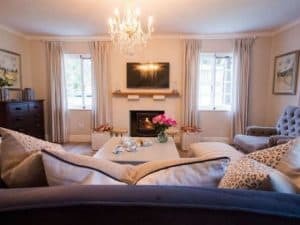 Guests looking for guesthouse or boutique hotel accommodation in Knysna will find contemporary elegance, style and comfort at this country manor house. Falcons View Manor offers 5-star accommodation at affordable rates, with complimentary, safe, off-street parking for guests. High above the town of Knysna, the hotel offers unrivalled views of the town, over the famous Knysna lagoon and through the magnificent Knysna Heads. Located atop a hill, less than 1km from the vibrancy of the town, Falcons View Manor is the ideal base from which to explore everything that Knysna and the surrounding area has to offer. Our managers Danelle and Sue are happy to assist in planning your day, ensuring that you enjoy the ultimate Knysna experience. 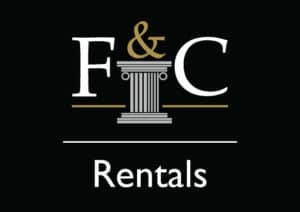 Welcome to Fine & Country Knysna, we offer luxury properties for sale and to rent within the Western Cape region. Our very specialist regional knowledge of this specific market ensures that you receive the very best service, whether you are buying or selling a property in Knysna or surrounding regions. Our local knowledge of Western Cape and more specifically the luxury property market within the Knysna region enables us to deliver the best results possible. Our sophisticated marketing technologies and our experienced team of knowledgeable agents in our Knysna office combine to deliver an outstanding estate agency experience. Fish Eagle Lodge offers affordable Knysna accommodation, beautifully positioned with a view of the Knysna Lagoon and mountains. 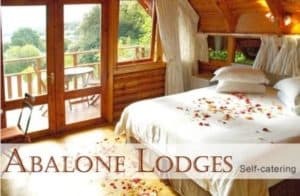 The Lodge offers comfortable Knysna bed and breakfast accommodation and is a perfect base to explore the surrounding indigenous forests, trails, lakes and the magnificent beaches. 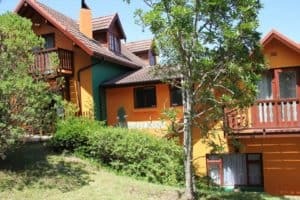 B&B Unterkunft in Knysna, wunderschön gelegen mit Blick auf die Knysna Lagune, die Fish Eagle Lodge bietet bequeme Unterkunft, angenehme Zimmer sowie ein gutes Frühstück an. Wir freuen uns auf Ihren Besuch! 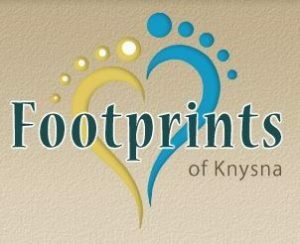 Footprints of Knysna is an owner run establishment with oodles of charm, personality and character. Located in a peaceful suburb with stunning views of Knysna Lagoon and the dramatic Knysna Heads – yet close enough to many local attractions and the bustling beautiful town of Knysna. The property is fully fenced and parking is secure. Footprints is ideal for self-drive guests – holidaymakers or business visitors, couples – young and older, honeymooners, golfers, small families, festival and event visitors, hikers, bikers and small groups of friends. A choice of 6 self-catering cottages just outside Knysna offering a magical setting with soul-rejuvenating views. We offer fully equipped self catering accommodation on the edge of a magnificent indigenous forest valley just outside Knysna, with a glorious outlook of the Outeniqua Mountains. Our cottages and our new spacious house provide stylish, private and comfortable accommodation and a true getaway-from-it-all. Nature trails wind through a densely wooded forest and along tranquil rivers. Paddle down the river to a waterfall, camp under the stars or stay in log cabins along the Serpentine. The Graywood Hotel is centrally situated on the corner of Gray and Trotter Streets in Knysna. Easy walking distance to the Knysna Waterfront and the town centre. In keeping with the character and spirit of the surrounding indigenous Knysna forest the hotel enjoys beautiful woodwork throughout. The wood is complimented by an inside courtyard garden which feature a sparkling swimming pool suspended in a wooden sundeck. An extensive collection of original railway and steam train memorabilia recall a bygone era, while our selection of historic photographs gives you deeper insight into Knysna’s locomotive past. Breakfast at the hotel may be enjoyed inside the ‘Blue Goose Restaurant’ or on the sundeck overlooking the lush courtyard garden and the sparkling swimming pool. 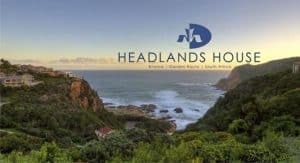 LOCATED LITERALLY ON THE SHORES of the picturesque Knysna Lagoon, within easy walking distance of the bustling town center and the vibrant waterfront complex, this Lodge provides the ideal base from which to explore the splendor of the Garden Route or to simply relax and soak up the laid-back atmosphere of the historic town and scenic lagoon. The surrounding area offers a multitude of walking, cycling, and general exploring options and all Garden Route, Oudtshoorn and Tsitsikamma attractions are within easy driving distance. Boat trips (whale-watching in season), Kayaking and other local excursions can be booked on arrival. 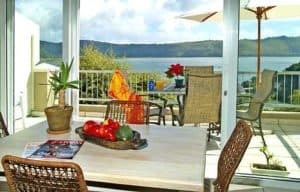 Centrally located, a mere 2.5 km from the town centre, Guadeloupe Self Catering Apartments are situated on a hilltop overlooking the famed Knysna Lagoon. Guadeloupe’s ideal location gives the visitor the feeling of being in the countryside, with wonderful views onto the Knysna Lagoon. The loft-style apartments comprise in total 6 spacious fully equipped self catering units accommodating from 2 to 6 guests in absolute comfort. A meticulously kept permaculture garden surrounds the property adding to the tranquil ambience of this beautiful establishment. 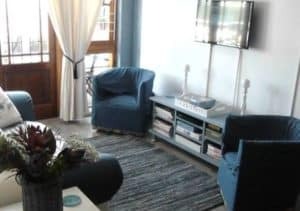 Each apartment has been individually styled and fully equipped with all you could possibly need to make your vacation in Knysna a memorable one. Our picturesque bed and breakfast accommodation is situated in the beautiful town of Knysna. Hamilton Manor is the perfect get-away for the discerning traveler or those looking to just unwind. Your host at Hamilton Manor is Fran Hamilton, who’ll make sure that every detail is attended to and that your stay is as perfect as the picturesque Knysna setting. Fran is waiting to welcome you to her PARADISE. There are five luxurious en-suite rooms to choose from. Wake up and enjoy stunning panoramic views or simply indulge in the natural beauty of the surrounds. 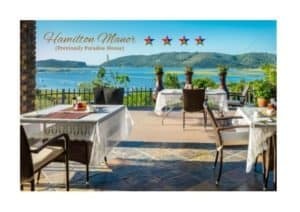 You will enjoy the most spectacular views of the famous Knysna Heads and the beautiful Knysna lagoon at Hamilton Manor. Headlands House has been managed with uncompromising quality of service and attention to detail for over 11 years. 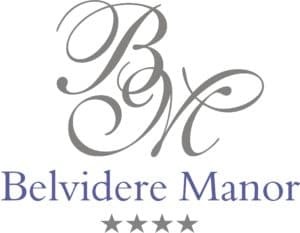 Apart from our stunning location, the emphasis is on personal service – from the moment you arrive we are available to advise and book wonderful day trips, excellent restaurants, golf courses etc. The tariffs quoted are Per Person Sharing, Per Night and are inclusive of a Deluxe Continental Breakfast, as well as a Full English Breakfast. Breakfast is served in the dining area, looking out across the sea from Knysna’s Famous Heads, guarding the entrance to the Knysna Lagoon. Rates include VAT at 14%. Enjoy watching the sun set while relaxing in the spa bath with the indoor fireplace setting the perfect atmosphere. Being positioned on the upper level, this suite offers privacy and excellent views which can be enjoyed while sitting outside on its personal balcony. Positioned on the farthest left hand side of the guest house, the Whale suite has panoramic views of the Indian Ocean and the other famous Knysna Heads Mountain. With its uniquely designed bathroom, being set behind and above the bedroom makes sure that the beautiful view is always in sight. Knysna Herons is a 3-Star Guest House located a stone throw away from the Lagoon and all the amenities Knysna has to offer. Enjoy some of the best hospitality at affordable prices in Knysna. Relax in the tranquil setting by the pool, surrounded by a tropical garden with palms, where we welcome you with open arms and every guest leaves as a friend. All rooms are equipped with private entrances and patio/balcony which overlooks the surrounding garden. Each self-catering unit has an en-suite bathroom, living room and a fully equipped kitchenette. On arrival you will be surprised by either a hot or cold towel service and offered what we are sure will be a welcome cup of tea or coffee. Sit and relax for a few minutes and get to know your hosts. You will be introduced to all that Knysna and the surrounding area has to offer. If you are needing any reservations to be made for either activities or restaurants, these will be dealt with quickly and efficiently. Then it’s off to your room to unpack and relax. Complimentary WiFi is available in all rooms and common areas and for our energetic guests, a small gym and swimming pool are available. The Bed and Breakfast (B&B) is located approx. 1.5 kms from the center of town and the Knysna waterfront. A walk to the waterfront before dinner is a great way to stretch your legs after a long journey. There is an excellent taxi service in town so if you don’t fancy the walk back after a leisurely dinner, the restaurants are more than happy to arrange transport for you. A few days visiting Knysna, staying at Inyathi and your idea of a holiday will never be the same. With comfortable, self contained chalets, dotted around a thriving garden. Inyathi Guest Lodge gives the feeling of a sleepy African village, despite being right in the heart of bustling Knysna Town! Perfectly positioned to holiday and explore, with a short walk to all the shops, bars, restaurants and the Waterfront. Newly acquired, renovated and decorated, Inyathi Self Catering offer fully equipped Self-Catering Chalets in our highly convenient new location of 38 Trotter Street. Extremely central, but down a quiet side street away from the hustle and bustle, just two streets (450m) from the Waterfront, Featherbed’s and meters from Gray Street, Woodmill Lane and all the supermarkets, shops, bars and restaurants around. This luxury villa is located on the water’s edge of Leisure Isle with a commanding view of Knysna’s spectacular lagoon. Step out of your front door onto the beach, constantly changing with the ebb and flow of the tides rolling through the majestic Knysna Heads. You just found your piece of paradise in Knysna! The Knysna Country House offers stylish yet comfortable 4-star accommodation in the peaceful and leafy suburb of Hunters Home in Knysna, along the splendid Garden Route, less than 2 minutes from the Knysna Golf Course and not even 5 minutes from the Pezula Championship Golf Course, while the Jack Nicklaus’ signature course of Simola is a mere 20min. drive away. The guesthouse offers bed & breakfast with a variety of rooms to choose from. From the entry-level Standard Rooms to the more spacious and luxurious Luxury Rooms, and from the thatched Luxury Garden Cottage for our honeymooners and guests looking for a bit of privacy, to the Family Unit for families or friends traveling together. The lush garden is home to a variety of birds, including the funky looking African Hoepoe, the colorful indigenous Knysna Loerie, the elegant Southern Double Collared Sunbird as well as the black and white spotted Helmeted Guinea Fowl which gave us the inspiration for our logo. The gracious old Manor House forms the focal point of the estate. Leisurely meals can be enjoyed in our two superb restaurants, or guests can relax in the cosy bar. 15 tastefully decorated Garden Chalets, 64 Garden Rooms, and 8 Superior Eco Estate Rooms are nestled in the 2 hectare estate around the 3 sparking swimming pools. Knysna Hollow’s fully equipped conference center ensures a successful meeting, product launch or company conference. Our newly refurbished Houseboats, previously operated by Lightleys Holiday Houseboats, exceed all South African Maritime Safety Authority operational and safety requirements. They are your floating home away from home. We have outfitted them to a high specification, so it is truly a comfortable experience. Our luxurious self-drive boats have everything you might need and are suitable for up to 4 adults or a family of 5. The Knysna Inn Boutique Hotel recently opened in Knysna. It offers modern, stylishly appointed self catering units that can sleep two to four persons each. Each unit has it’s own separate entrance with two barbeque areas and a restaurant on the premises. 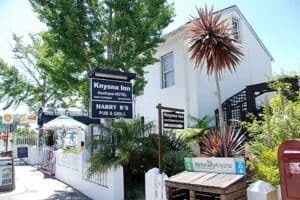 Knysna Inn is centrally located in Knysna’s Main Street making it ideal for visiting business people, holidaymakers and travellers looking for a sleep-over. Hosted in a large timber Log structure, it provides 4-star accommodation with air-conditioned rooms. This unique hotel features a range of amenities, such as a gym, garden and a laundry service. Knysna Log-Inn Hotel has 57 well-appointed rooms that are accompanied by a variety of essential amenities to ensure guests have an enjoyable stay. There are also multiple rooms specially designed for families. 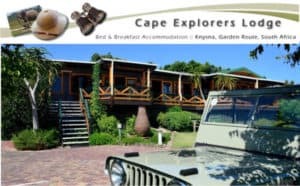 There are many guesthouses, B&B’s and accommodation providers in Knysna, but this Knysna guesthouse is one of the few that is Tourism Grading council recognised, as well as being AA Highly Recommended. A full English breakfast is served from daily 7 – 9. Weather permitting you may enjoy this on the deck, or in our cosy dining room. Knysna Penthouses not only offers a central starting point to your adventure of the Garden Route, but also a comfortable and welcoming stay while you are exploring, during your holiday or business trip. With free wi-fi, an optional Bed and Breakfast service offered by Cafe le Boer, which is literally situated at your door step, DSTV, air conditioning in all bedrooms, towels, linen provisions and a fully equipped kitchen including crockery, cutlery, induction stove, microwave and a decent size fridge, makes this comfortable self catering living par excellence! These 5 penthouse units are tastefully decorated,with images from dating from Knysna’s past, as well as stunning photographic moments captured through the lens of local professional photographers. Knysna Terrace Boutique Guesthouse is a family owned and run guesthouse. At our core we hold to heart the stories from ancient Greece, which would caution mortals that any guest should be treated as if potentially a disguised divinity. The Knysna Wayside Inn is one of the most centrally located Knysna accommodation establishments, just a few meters away from shops and restaurants. It features elegantly decorated rooms and free off-street parking. It offers a complementary buffet breakfast freshly prepared every morning. All rooms at the Knysna Wayside Inn are stylishly decorated with colorful details. Each unit has a private bathroom with shower only and a TV with selected satellite channels. Most rooms offer views of the square with its quaint shops and restaurants Knysna has become known for. Some rooms have doors opening onto a French balcony. Our upstairs rooms have air-conditioning, while our ground floor rooms all have ceiling fans. 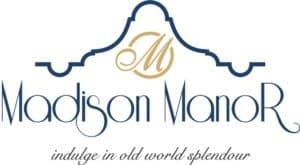 Your hosts, André and Maretha welcomes you to La Maison Bleue which is nestled in the center of Knysna, just walking distance from shopping malls, restaurants, Waterfront, Thesen Island and famous historical landmarks. Knysna offers endless activities to suit everyone’s needs. 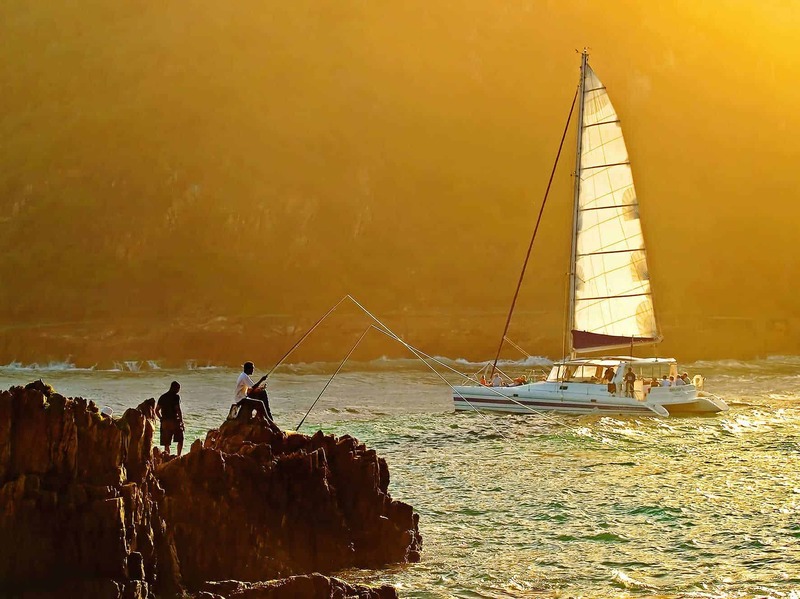 Activities include whale and dolphin watching, hiking and mountain biking and romantic picnics in the famous Knysna forests, fishing, sailing and diving, boat cruises, golfing at world class golf courses, trips to game and theme parks, bird-watching and shopping at one of many farm-style markets. Knysna is famous for its oysters and boasts and choice of restaurants. Whether you are seeking fun and adventure, romance, peace or tranquility, we would love to welcome you to La Maison Bleue. Hidden away under milkwood and yellowwood trees, this property is a well kept secret. It is situated on the shore of the lagoon in Lake Brenton. 5 minutes drive from the beach and 15 minutes drive from the town center. It offers privacy, stunning views of Knysna town and fishing from your front lawn, on site parking and braai facilities. The Chalet: Unit sleeping 4 or 5 people. There is one bedroom with one double bed and two single beds in the lounge. It has a kitchenette with stove, fridge, deep freezer, microwave, kettle, toaster, crockery and cutlery. It has one bathroom with a bath and access to a newly built shower room outside. The unit has a television and DSTV facility. ACCREDITED ACCOMMODATION MEMBER. A luxury self catering three bedroom house on Thesen Island in the Knysna lagoon. The clear water is full of marine life and the harbour town is drumming with activity. 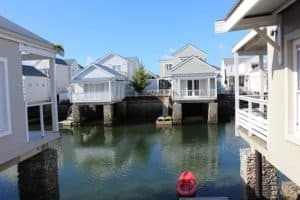 Thesen Island is an award winning lifestyle island with six kilometer walkways (great for jogging), bird watching hides, three beaches, & magnificent water with marine life (lots of seahorses). Wake up to an orchestra of exotic birds, the slow and steady roll of waves and our delicious breakfasts served on the deck overlooking the lagoon. Take in one of the magnificent sunsets while sipping on a sun downer. Enjoy exciting contemporary cuisine, complimented by quality wines, in the elegant and intimate restaurant. Convivial evenings in the lounges and bar. The lodges are all located within easy reach of pristine beaches and places of spectacular natural beauty – making them the ideal leisure getaways for nature-lovers, outdoor enthusiasts, families and friends. Greenhole is situated on the beautiful blue, salt water lagoon of Leisure Isle. There is a richness in nature and it is the birds, butterflies and sea creatures which make Greenhole Cottage a true haven…..
Madison Manor is an exclusive, owner-run luxurious Boutique Hotel, uniquely situated at the top of ‘town-hill’ with a 180 degree view of the town of Knysna, the lagoon and the famous Knysna Heads. Experience old world splendour with all the modern amenities of the 21st century. The three superior rooms still boast original yellow-wood floors. A 5-minute brisk walk will get you to the town centre where you will find the Mall as well as the banks. Strolling further down Grey Street, quaint shops and coffee stops will keep you company until you reach the famous Waterfront where a range of activities will add to your Garden Route experience. Tucked away in the heart of Knysna with majestic views of the Knysna Heads and the lagoon our self-catering units will offer you the tranquillity and peace of the garden Route. Come and enjoy the best hospitality in Knysna with your hosts Billy and Marlene who will make your stay an unforgettable one. Milkwood Bay is a self catering villa with direct access to a stunning beach on the Knysna Lagoon. This unique house offers breathtaking views across the tidal waters to the distant Outeniqua mountains. With 5 en-suite bedrooms, a partially enclosed heated swimming pool and a sauna, Milkwood Bay is a most comfortable and elegant retreat for the discerning traveler. Monks Caravan park is situated on the edge of the lovely Knysna Lagoon and is in walking distance of the town. There are 22 sites all with electricity and clean ablutions. Lagoon frontage, Fishing on the lagoon, Large grassed caravan and camping area, Hot and cold water in the ablution blocks, Bathrooms, showers and flush sanitation, Chalets, rooms and caravans for hire on the site, Shops, Service station and Knysna Heads less than 5 minutes away…. The chalets are self-contained with a separate bathroom, toilet and kitchenette. Each is equipped for 5 or more people with cutlery, crockery, kitchen utensils, gas stove, fridge, kettle, TV, toaster and bedding.